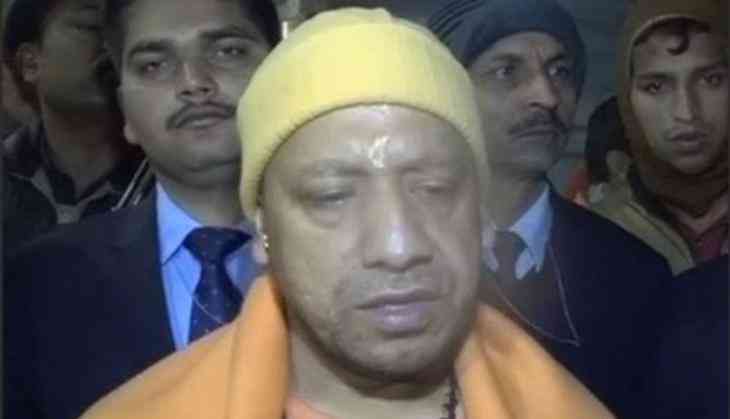 Uttar Pradesh Chief Minister Yogi Adityanath on Monday hit out at the Congress party for posting a video mocking Prime Minister Narendra Modi and advised party president Rahul Gandhi to practice positive politics. Adityanath while talking to ANI averred that instead of resorting to new lows, the Congress party should focus on the development of the nation. "The Congress party is disappointed that is why they are adopting such tactics. I would advise him to focus on positive politics that would be beneficial for him and his party. Rahul Gandhi should utilize his energy in the development work," Adityanath said. Further, Adityanath termed the visit of Israel's Prime Minister Benjamin Netanyahu as very crucial and said that the relation between the countries is going to help India in long run. The one-minute-long video, which showed the Prime Minister hugging world leaders like United States President Donald Trump, Japanese Prime Minister Shinzo Abe and French President Emmanuel Macron among many others, ended on a sarcastic note, saying "We can't wait for more #hugplomacy". The video came out on the day Israeli Prime Minister Netanyahu landed in New Delhi.